we're obsessed with the high line - coupling much-needed green space with an abandoned railway track is a perfect marriage in our eyes. 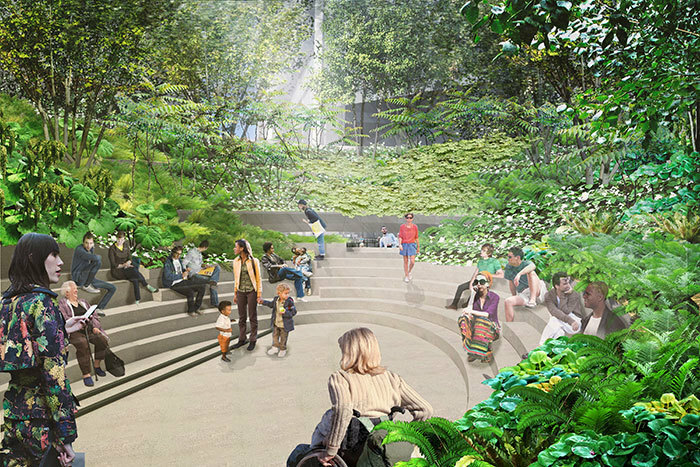 this week, james corner field operations and diller scofidio + renfro released new images of the spur (a segment of the high line that terminates above west 30th street and 10th avenue): a giant, lushly planted bowl. check it out at friends of the high line.